You have the power to be a SUPERHERO before Super Sunday! 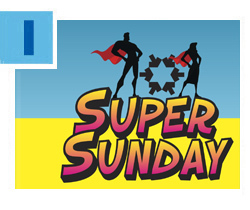 March 13 is Super Sunday, the Greater Miami Jewish Federation’s largest annual community fundraising day, and volunteers will be calling members of our Jewish community to donate to the Annual Federation/UJA Campaign. Why wait for the call to help? Use your superpowers and click here to make your gift now – to support Jewish needs in Miami, in Israel and worldwide. Robin and Dr. Baruch Jacobs chair Super Sunday. For details and Good Deeds Day volunteer opportunities, click here. With Federation support, 15 professionals from Miami’s three JCCs spent this past week in Yerucham, Israel, exploring new ways to deepen the long-standing partnership between the two communities. 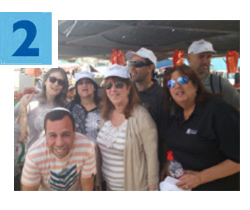 During the seven-day visit with their peers, the professionals traveled to various sites and planned joint programs that will enable residents of Miami and Yerucham to better understand each other. Each group shared the unique aspects of their community and their commitment to strengthening Jewish peoplehood. Click here to see photo highlights, and click here to learn more about the Miami-Yerucham partnership, chaired locally by Stanley Weinstein. International Women’s Day is Tuesday, March 8. This year's focus is on equality, and Federation is at work every day in Israel, supporting programs that improve the lives of women and girls. 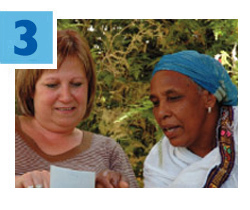 Through our Women’s Amutot Initiative established in 2003, Federation has already invested more than $3 million in innovative projects and nonprofits that empower women to enhance Israeli society through social, economic, religious and political equality. Click here to learn more about this important initiative, chaired by Tracey Spiegelman. Every human being has infinite value, and Federation’s Indigent Burial Program and Tzedakah Fund foster extraordinary acts of loving kindness for people facing staggering hardship. In partnership with local cemeteries, funeral homes and monument makers, the Indigent Burial Program provides burial plots and a proper Jewish burial for those unable to afford it. 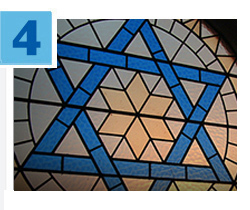 The Tzedakah Fund enables Federation to respond to emergency financial needs of our Jewish neighbors. Nearly $25,000 in assistance is provided annually through this fund, which is supported primarily through the sale of tribute cards to honor lifecycle events. Click here to learn how you can donate a cemetery plot or support the Tzedakah Fund. Join hundreds of legal professionals at the 32nd Annual Judicial Reception, Wednesday, March 9 at Jungle Island. 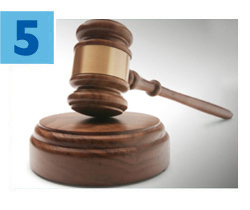 The popular event, hosted by Federation’s Attorneys’ Division and chaired by Hilarie Bass and Harley Tropin, will feature cocktails and networking, along with presentation of awards to Judge Laurel M. Isicoff, Judge Michael A. Hanzman and Judge Bertila A. Soto. Click here to RSVP and here for further details, or call 786.866.8414.